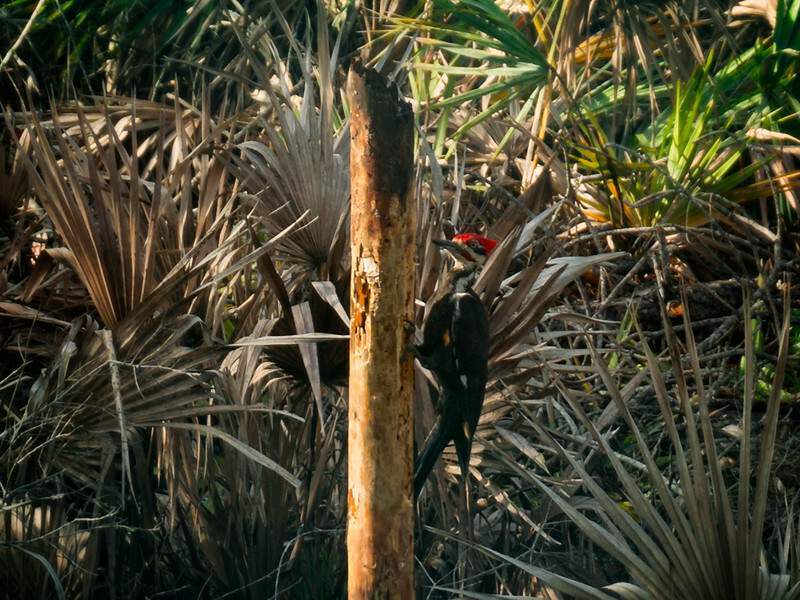 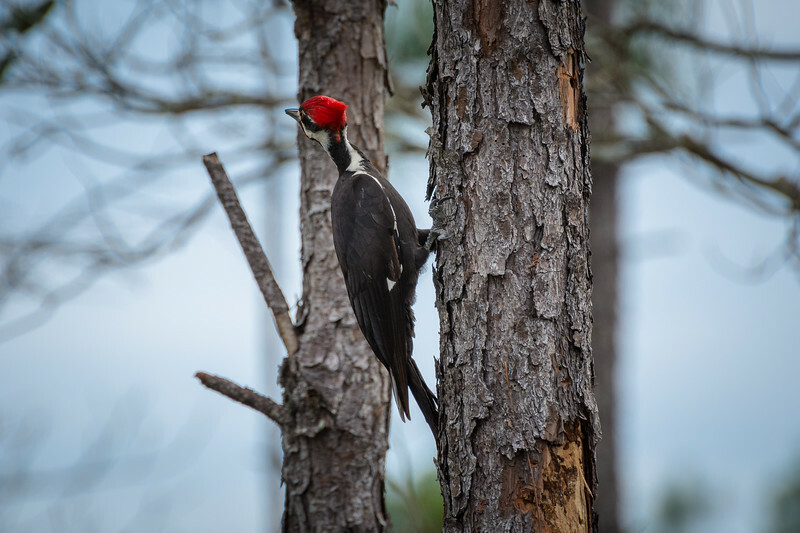 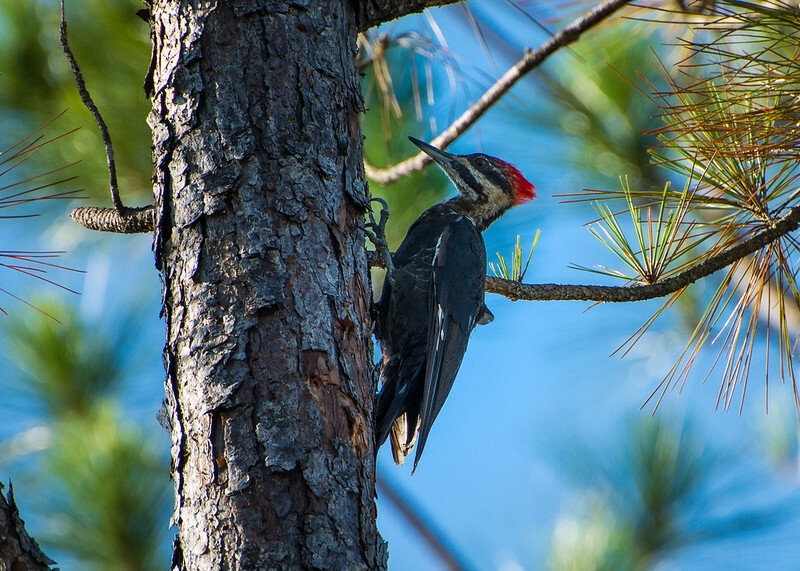 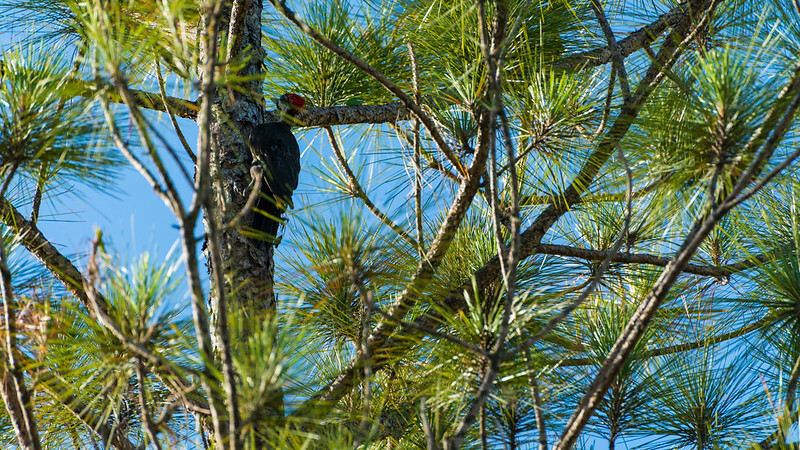 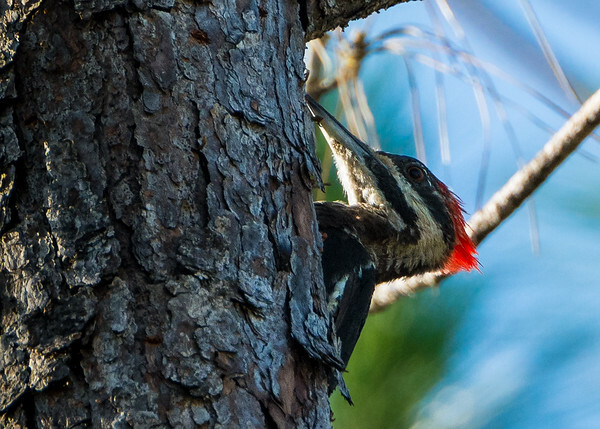 A pileated woodpecker pair stays together on its territory all year round and is not migratory. 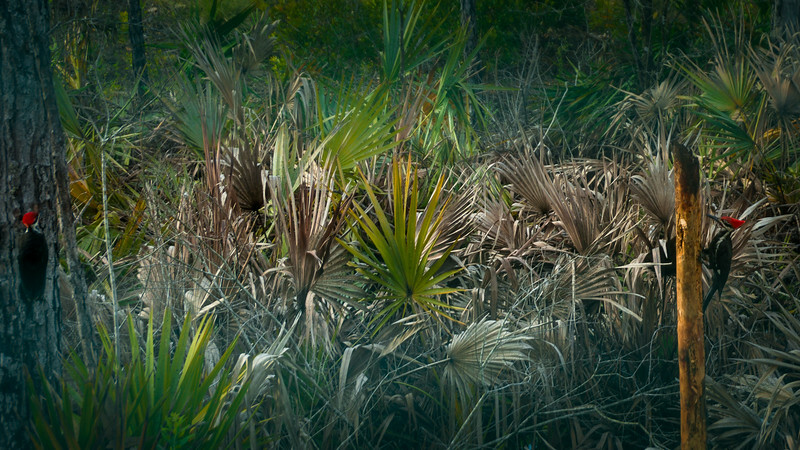 They defend the territory in all seasons, but tolerate floaters during the winter. 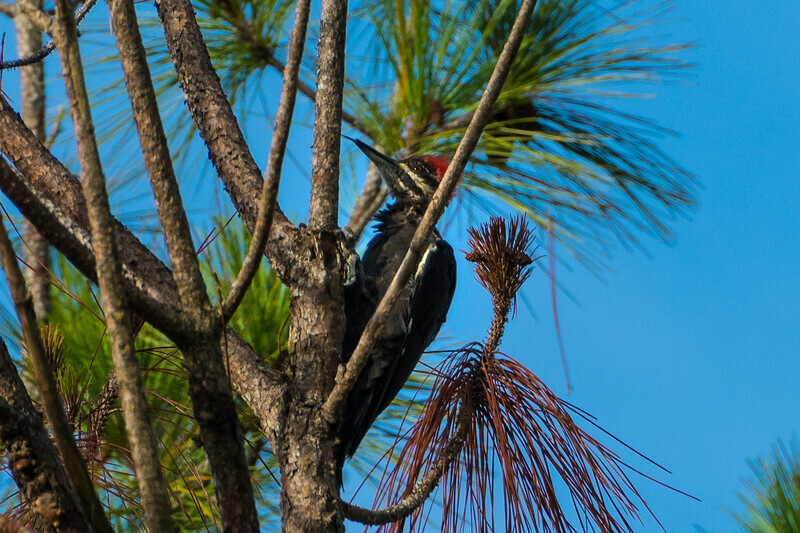 Taken in RiverTown, St Johns, Florida. 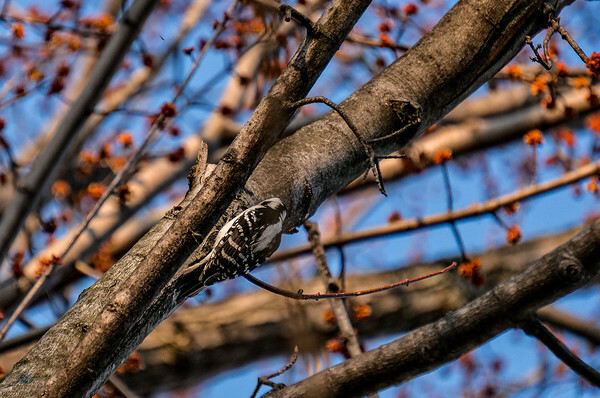 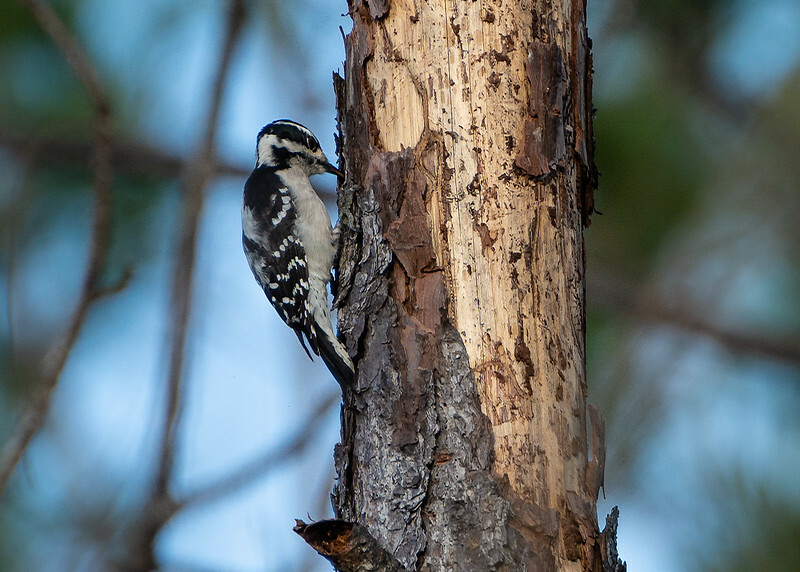 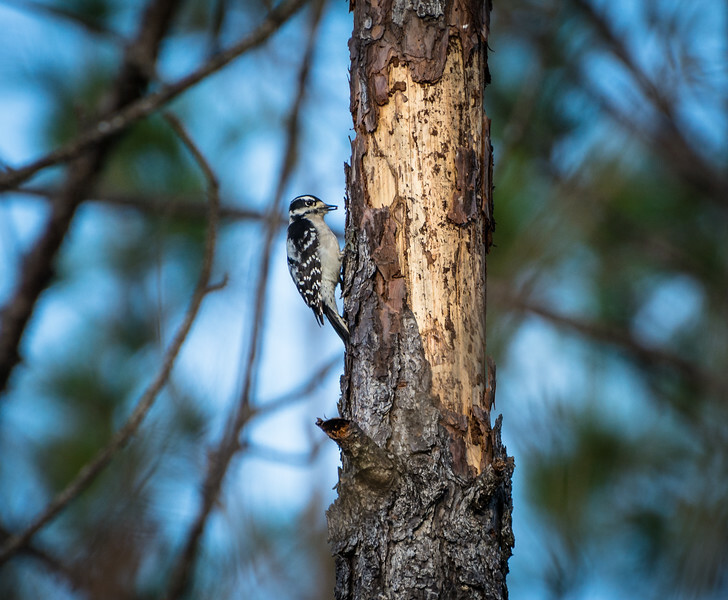 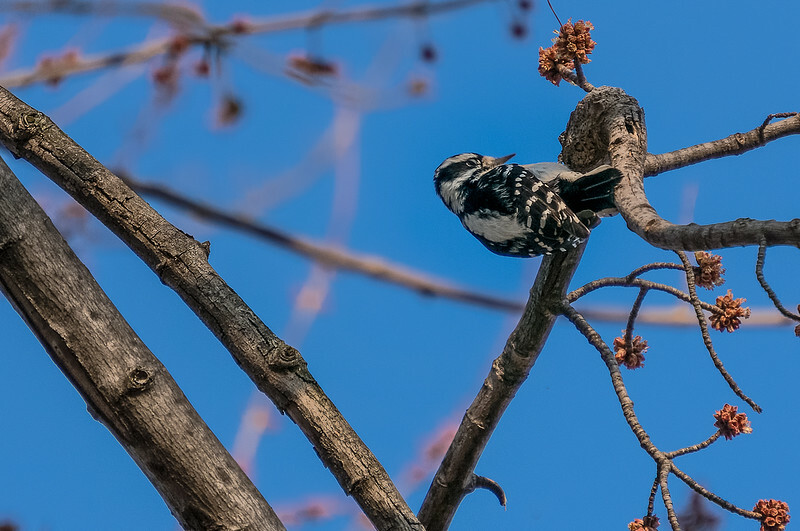 These birds mainly eat insects, especially carpenter ants and wood-boring beetle larvae. 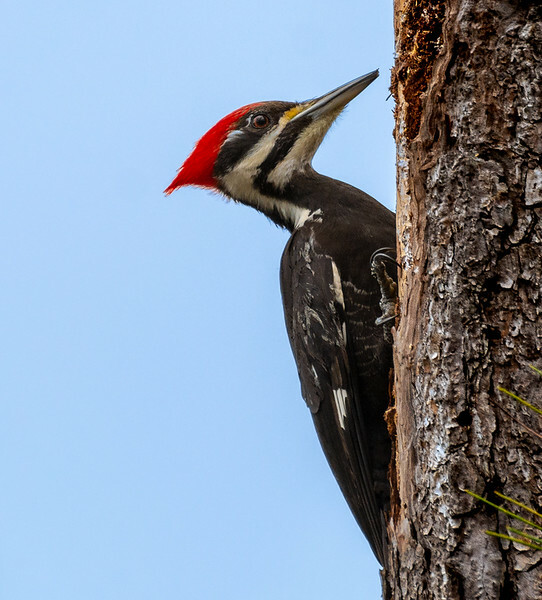 They also eat fruits, nuts, and berries, including poison ivy berries. 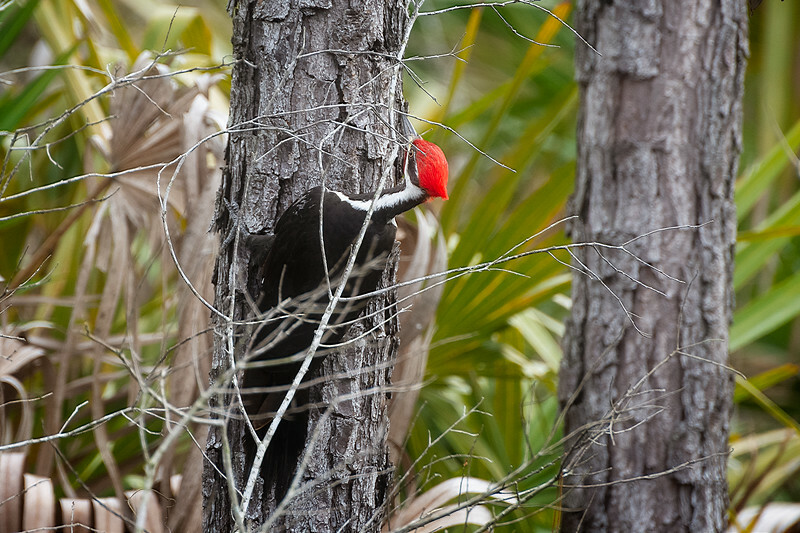 I heard his call, then listened for the drumming unil I found what tree he was on. 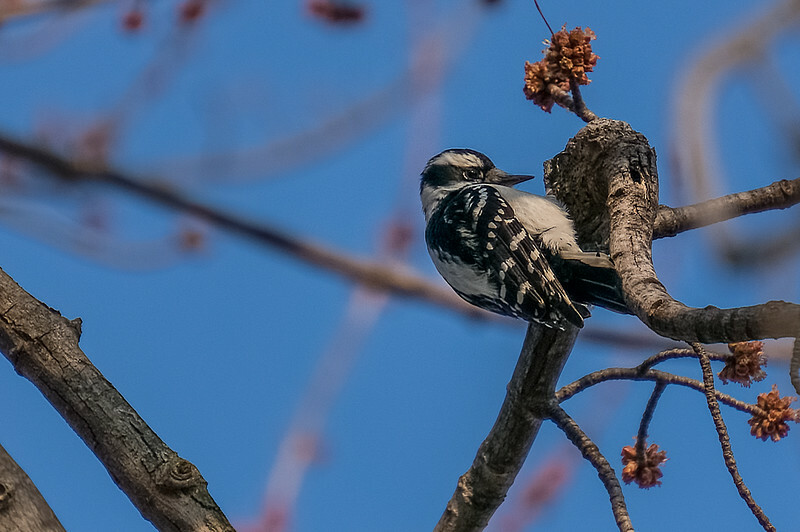 Finally I was able to get some pictures of this great looking bird with my 70-300mm lens.